Registration opens on Saturday, July 5th, 2014. You can register online, ahead of time, and get a $5 discount. Online registration is highly encouraged and save you from waiting in line! Or, if it’s a last minute decision, you can still walk-up. Walk-up registrations will be for PM session only! Registration closes 12:00 PM on Friday, August 1st, 2014. Signing up is easy! 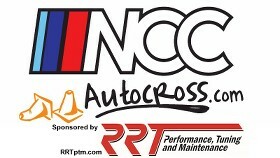 Simply go to "Become a Member, Autocross for Free!!!" and follow the posted steps. Make sure you complete step 3 after you complete your membership so that we can note your free event. See you on the 2nd and thank you for autocrossing with us!! Last edited by etherpool; 01-23-2014 at 02:48 PM. Hey Phil, I tried to sign up for AM & PM but got wait listed. Does that mean I'm on the wait list for both AM and PM? or am I registered for at least one? I'll register you for PM. For some reason it won't let you edit a registration. photos above. These are only a fraction of the total. Let me know if you don't see your car/want more of your car. Thanks for the pics! You da man! It's been a busy week for me and I hit up the Porsche event at Bowie Sunday. Finally got the videos together of my wife and mine's best laps. Thanks for another great event, was happy to get in on the fun runs for 5 additional runs. Thanks for the pics Eric. Last edited by Rated-M3; 08-07-2014 at 07:12 PM.